I love long weekends. The extra day always makes me feel so refreshed, and ready to face the week ahead. We didn't have a particularly exciting Labor Day weekend, but it was productive. Laundry is done and put away, the house is sparkling clean, we ran a few errands, and even managed to squeeze in a trip to Berkeley for the Cal vs. Northwestern football game. All in all, it was a great weekend. Good to finally spend some time at home. Sunday morning, Andrew and I treated ourselves to a cappuccino and walked down to the farmers market to get a few things for the week. 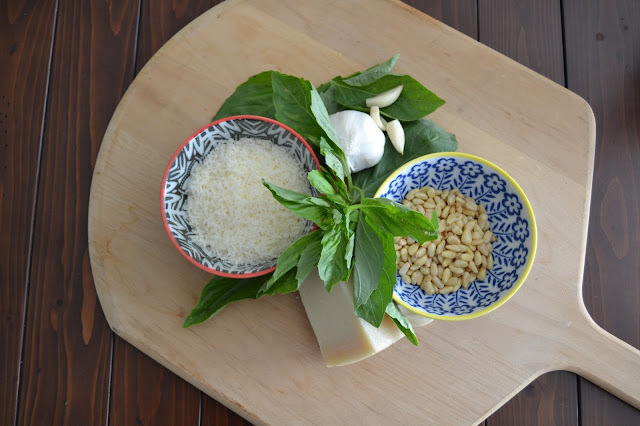 They had huge bundles of fresh basil for only $1 so we decided it would be the perfect opportunity to make fresh pesto. 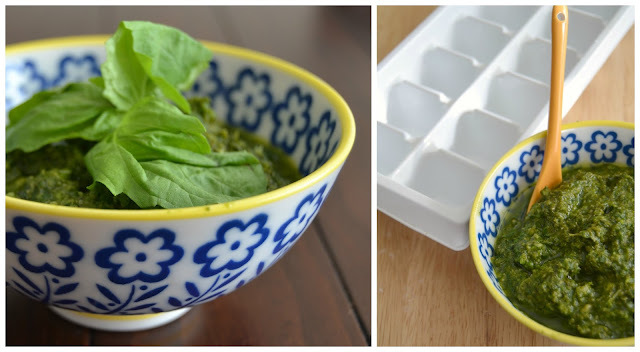 My mom usually makes a big batch and freezes some to use throughout the cooler months when her garden is no longer overflowing with fresh basil. We thought it was a brilliant idea, and wanted do the same. 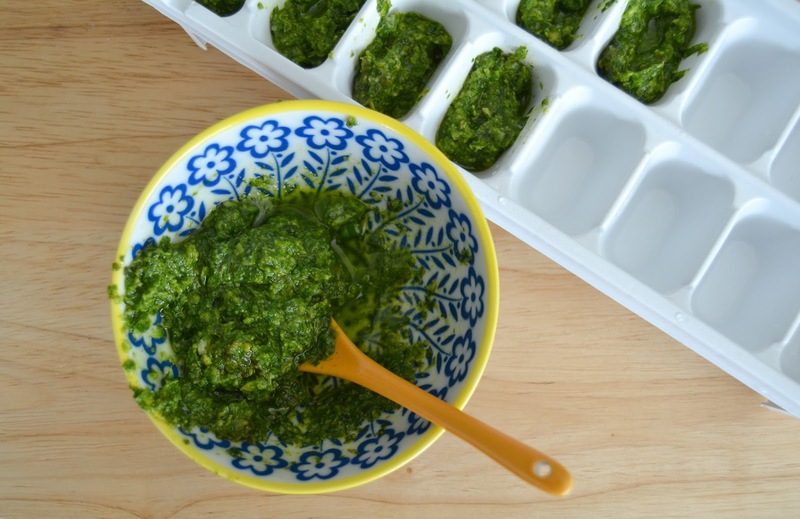 I'd seen the idea on Pinterest to freeze pesto in ice trays for easy to use portions, and I'd been wanting to test it out. 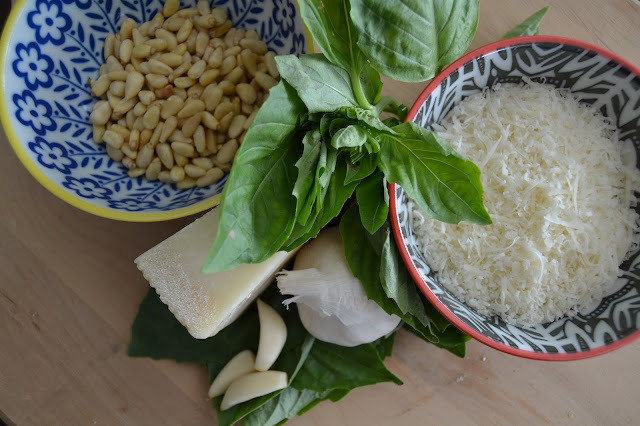 I referred to this recipe for the pesto, but I didn't measure anything, just used my best judgement. 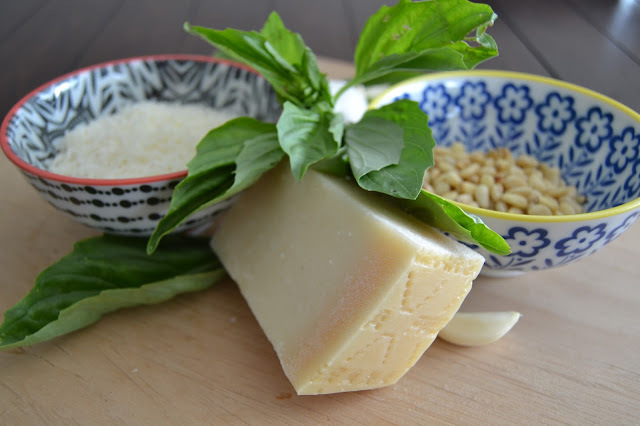 I'd say we used significantly less oil than it called for, and double the basil. I hadn't heard of adding lemon to pesto before, but we have a meyer lemon tree in our backyard, so I figured why not add some lemon zest and fresh squeezed juice. It's a very subtle flavor, but I liked it! It made enough to fill one ice tray, and about a quarter cup we put in a jar to use this week. Once it was frozen, I used a knife to help pry each cube out of the ice tray and then transferred them into a freezer bag. I had sprayed the ice tray lightly with cooking spray before filling it with pesto, but I still needed the knife to help remove each pesto cube from the tray. I hope you all had a great weekend as well! 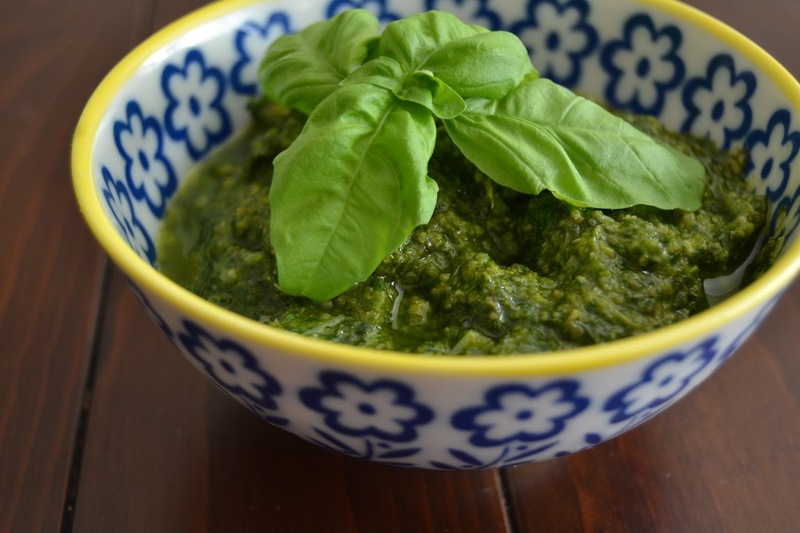 Have you ever made fresh pesto? I can't wait to do this! ok betty crocker!! look at you go! 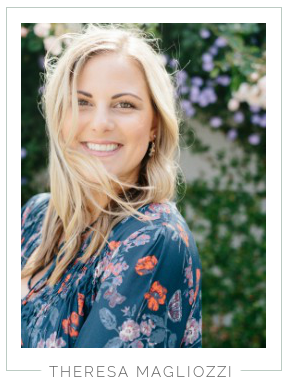 ps- still drooling over your oh-so-cute blog design!! 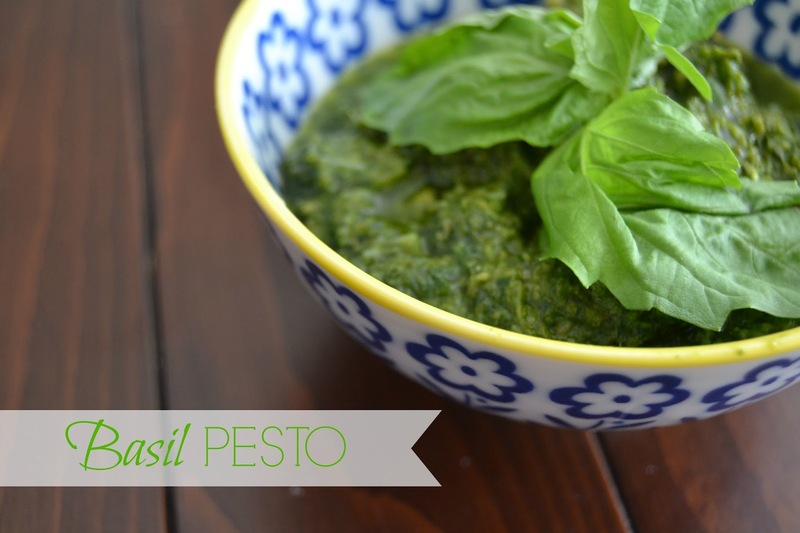 I love doing this with pesto! It's a great way to have measured-out portions ready in just a few short minutes!